Mad Max (1979), Mad Max Road Warrior (1982) and Mad Max Beyond Thunderdome (1985) – are all set in the near-future in Australia. From the very first film, Oscar® winner George Miller (Happy Feet, 2006) proved a master at creating the gritty, bleak dystopian world and staging the incredible car stunts and crashes in the era when stuntmen, not computers, achieved the effects. All three movies starred Mel Gibson, virtually unknown until after the second film, as Max Rockatansky, a highway cop traveling through the Outback in a society descending into chaos. The films started Gibson on his road to international superstardom, led to his signature Lethal Weapon series, and later two Academy Awards® for his roles as producer and director of Braveheart (1995). I don't think I had ever seen any of these movies before but I am glad I got to review these. My husband and I watched them together and we very much enjoyed all three movies. Yes these are old (late 70's to mid 80's ) movies but we do sometimes like watching movies older movies. The story line of these movies are fantastic. There is enough action and Mel Gibson is fantastic playing Mad Max. This is a collection to give to a father who loves these movies. 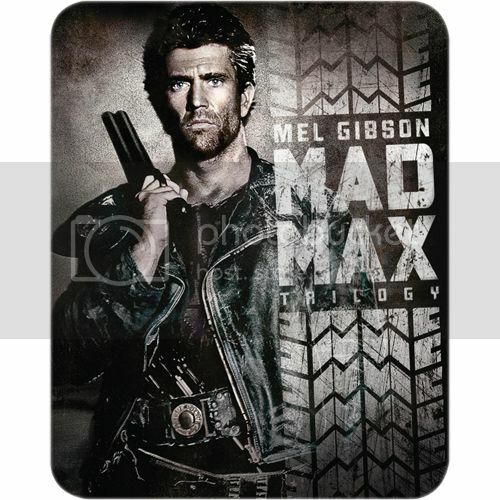 I highly recommend Mad Max trilogy on Blu-ray.